While traveling with other students in New York City, catastrophe strikes and their subway car goes up in flames. Climbing out of the wreckage, Jesse and his friends search for other survivors, but find no one else alive. When they reach the surface, what faces them is nothing short of a nightmare. The skyscrapers are crumbling around them and there seems to be no one left, at least until they stumble across a strange group of people who seem mindless except in their search for liquid to quench their thirst. Any liquid will do, even blood, making Jesse a prime target. Survival in this desolate new world won't be easy, but at least he isn't alone. I'm at a loss as to how this book can possibly be properly reviewed without spoiling something major in the story. There is a shocking twist at the end that irrevocably changes your perceptions of everything prior to that point. 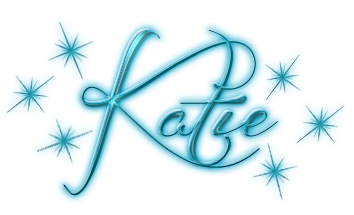 So much so that I can hardly remember what I felt prior to that knowledge, and in all honesty that twist both infuriates and impresses me. It infuriates me because of just how much it turned everything upside down and drastically changed everything. On the opposite end, the impressive part came from its ability to catch me so far off guard. Let's face it, with everything we experience in modern society, it has become harder and harder to drastically surprise anyone. So when something like this comes along you can't help but be impressed even if you didn't really care for what that twist entailed. 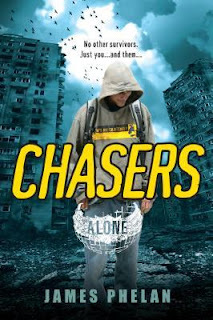 While reading Chasers I kept picturing the movie I Am Legend with Will Smith. Each time they described yet another empty and deserted place, I shuddered just like I did in the movie. In no way am I saying Chasers is a knock off of I Am Legend, since there was a whole different character dynamic as well as a completely different story line behind the devastation. It's just that Chasers elicited that same horrible feeling inside of being terribly alone and isolated while your life is constantly hanging in the balance. Even though there was four of them together, it didn't lesson those devastating feelings one bit. In all honesty it was the isolation was what made this book so absolutely terrifying for me. So much more so than anything to do with the Chasers. Perhaps it is because I'm a social creature by nature, but I cannot see myself lasting very long under that kind of stifling aloneness. I'm not really quite sure how I feel about the chasers and their role in zombie fiction. Granted, they weren't really zombies due to the fact that they sought out liquid of any kind rather than flesh. But the fact that they were mindless and would attack people for their blood does push them somewhere in the zombie region. I guess in the end I can't really fault them for not being true zombies, as they were plenty scary enough. I think my sticking point with them was that there wasn't any explanation for anything that was going on. Granted, this is a trilogy, so there needed to be some things left open for the next two books, and the staggering feeling of aloneness couldn't have been achieved if there had been any contact with the outside world to get those needed answers. That being said, I'm incredibly eager to get my hands on the next installment, since Chasers was one heck of a terrifying ride that grabbed a hold of me and just wouldn't let go.